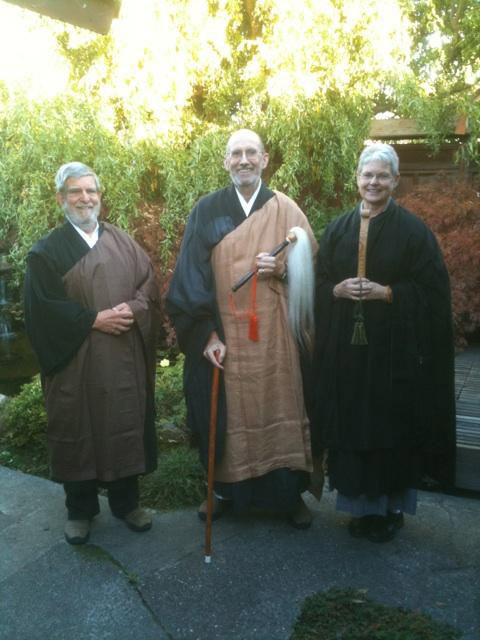 Abbot Steve completed another lay entrustment ceremony yesterday, for Tom Millard of the Dharma Eye Zen Center. 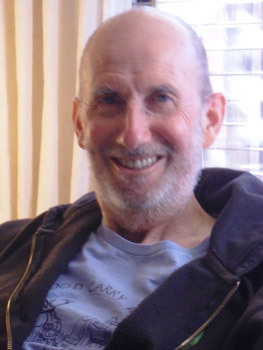 Mary explained to me today that the last report about Abbot Steve's condition was possible because fortunately the hospice physicians have been able to find a better mix of medications overall for him. She also informed me that, despite the apparent improvements, he continues to become exhausted quite easily and must manage his energy carefully. We feel fortunate that he has been able to perform these ceremonies for his students. Lee deBarrows, Renshin Bunce and Christine Palmer also participated in the ceremony for Tom Millard. Posted in Uncategorized on November 27, 2013 by Jay Pennington. 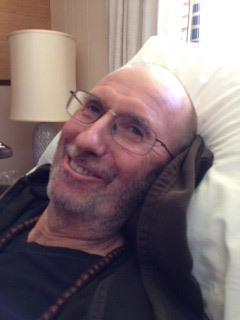 Abbot Steve's pain level fluctuates a great deal, and periodic supplemental doses of medication are needed around the clock to keep it manageable. Also, fatigue and weakness make simple ventures from the bed seem like major efforts. Somehow, even through his weakness and discomfort, Abbot Steve shines through like this at various moments. Posted in Uncategorized on November 5, 2013 by Jay Pennington. 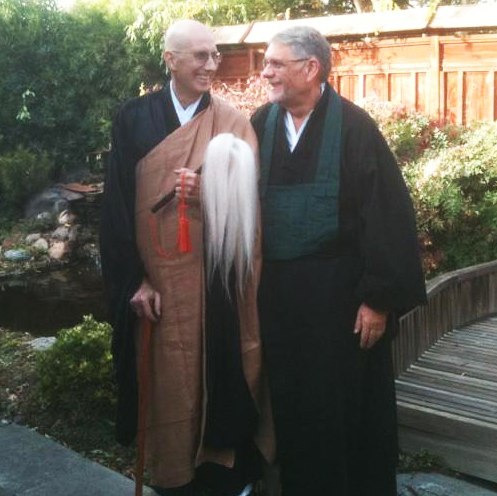 Abbot Steve is at home and stable, medically speaking. He is continuing with medication for his heart and blot clots and plans to resume chemotherapy after completing the current round of antibiotics for last week's infection. Though happy to be home, he's surprised at how weak he is. His doctor visit yesterday was quite exhausting for him. He rented a hospital bed for his home, which he finds helpful. He has walked around a little but is still mostly in bed. We will be watching to see how he does with the next round of chemotherapy and report here. However, whenever he is mostly stable, there will naturally be fewer reports. 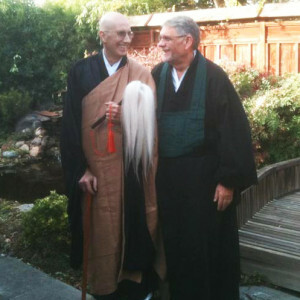 In the meantime, he feels very committed to the Zen Center community and plans to be in contact as much as he can, which for now remains rather limited. Thanks to all for your various expressions of concern and admiration for Abbot Steve. Posted in Uncategorized on October 23, 2013 by Jay Pennington. Abbot Steve returned home today, which for the last couple of days is what the medical team and Abbot Steve have been working toward. The intravenous fluids were stopped yesterday, and medications that had been delivered by injection have been changed to liquid or pill form. The cellulitis that caused this stay at the hospital is clearing up well. 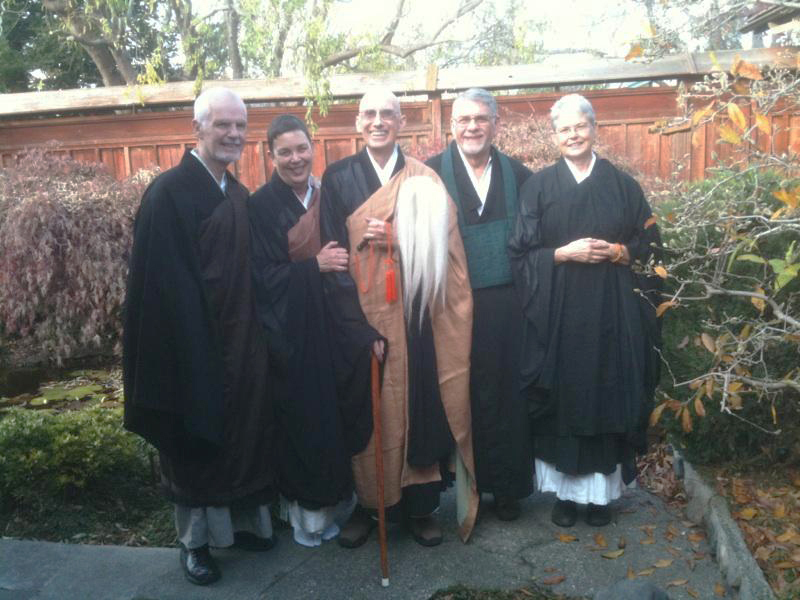 Abbot Steve is eating more through the day and feeling generally more at ease. Through the afternoon he visited with family from the electrically adjustable hospital bed that has been moved into the house. At dusk he spent some time walking in the back yard, literally smelling the roses. In the next couple of days he hopes to talk with his oncologist about proceeding with the chemotherapy treatments. Posted in Uncategorized on October 21, 2013 by Jay Pennington. As mentioned in the last post, the infection in Steve's legs was clearing up, and Steve had a relatively good day Friday. This morning, however, he had some heart arrhythmia. Beta blockers have been increased to resolve that, and now his heart rhythm again seems stable. Also, although at one point this week his pain level dropped significantly, that level did not last, and pain management continues to be a major issue. He will remain in the hospital for at least a couple more days. It remains unclear when chemotherapy may resume at this point. Thanks to all who are chanting often for Steve's well-being. Posted in Uncategorized on October 19, 2013 by Jay Pennington.